And done! The extra long purple gradient I’ve been working on since mid March is finally yarn and ready to knit. 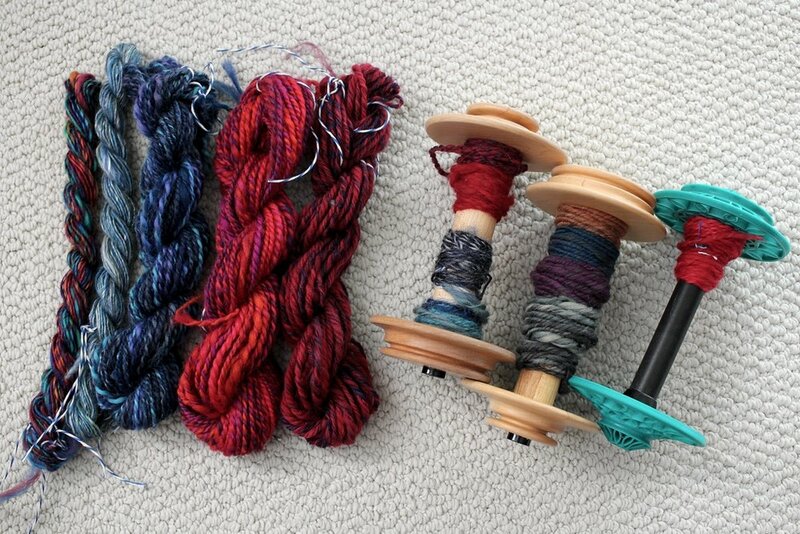 I tackled the last bit of spinning and plying last week, and got the handspun off the bobbins on Sunday. Then the later skeins got a bath to set the twist before I hung them up to dry. In fact the bigger skeins were still a wee bit damp when I took these photos. This felt like such a big project when I was in the middle of it. 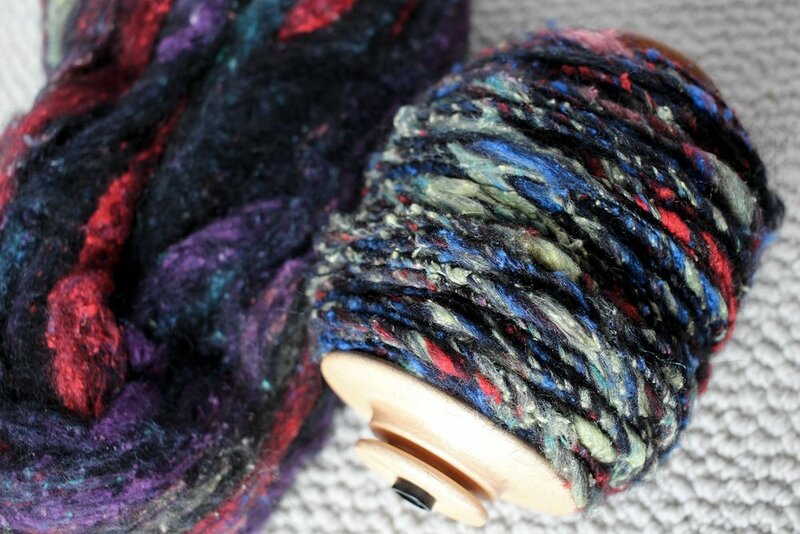 I usually spin 4 ounces at a time and keep it as one big skein. 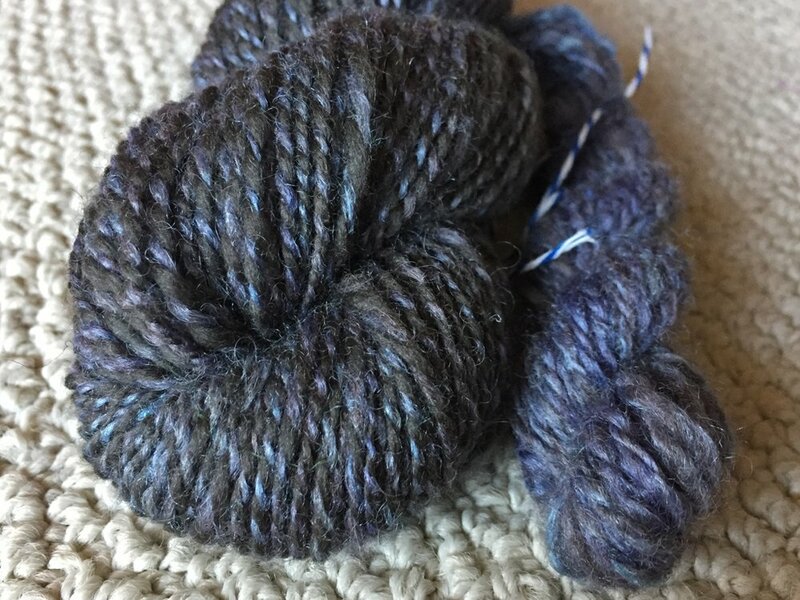 Working with 6 ounces and splitting it into 8 mini-skeins definitely changed things up. There was more upfront prep. More bobbins. More plying. More letting the twist rest overnight. More baths to set the twist (otherwise I would have mixed up the gradient order). All that extra work tricked me into thinking it was a much larger project than it was. 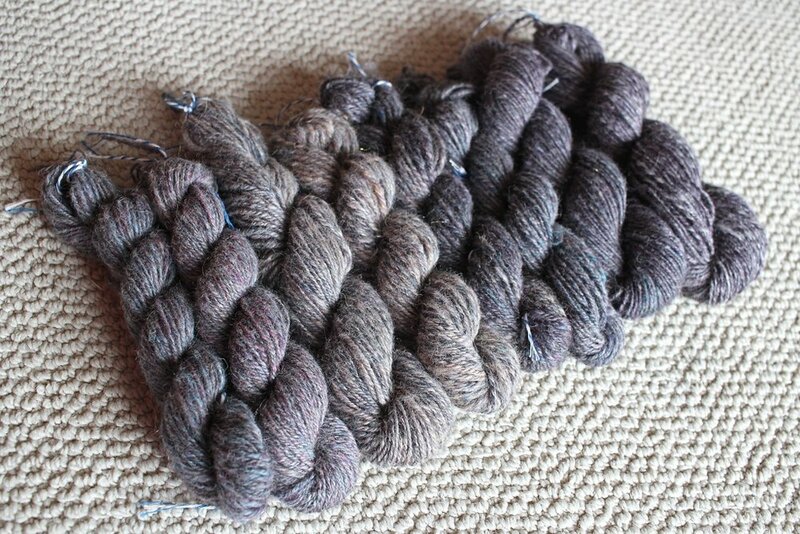 An additional 2 ounces of fiber isn’t all that much, nor is 6 ounces anywhere close to a sweater quantity of handspun. When I look at the skeins all lined up, they still seem like a big project because I know just how much work, time, and brain space when into making them. Because of that, I’m proud of all 8 of these skeins. They’re the same weight and have the same finished texture. I feel like I can move onto bigger and more involved spinning projects now. Might not be all that long before I start spinning yarn for a sweater. Or a giant blanket. I really enjoyed spinning this fiber, and I wish I could remember the vendor I bought it from. 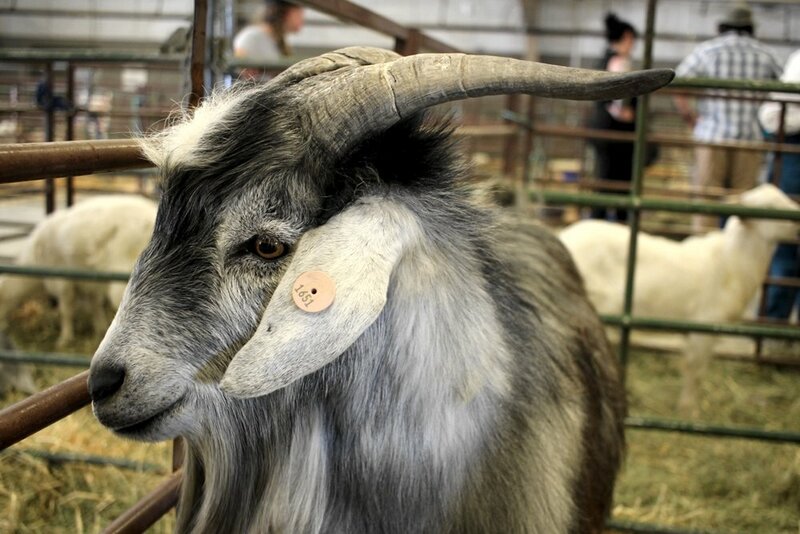 All I know is that it’s wool and that it was one of the last things that caught my eye at Interweave Yarn Fest 2016. I wish I’d put all the details up on the Ravelry stash page when the info was fresh in my mind. Maybe I’ll find the receipt, but I doubt it. Now for the technical details. Since it had been so long since I saw what was in the middle of the roving ball, I laid it all out flat. Wasn’t sure what I wanted to do before, but seeing the complete color gradient made my decision easy. I split the gradient into its 8 major color sections and wound them into nests, making sure to keep the colors moving in the same direction. I wanted to preserve the colors and variation within each section as much as possible so I decided to chain ply. I started with the smallest nest of fiber which just so happened to be at one end of the gradient. 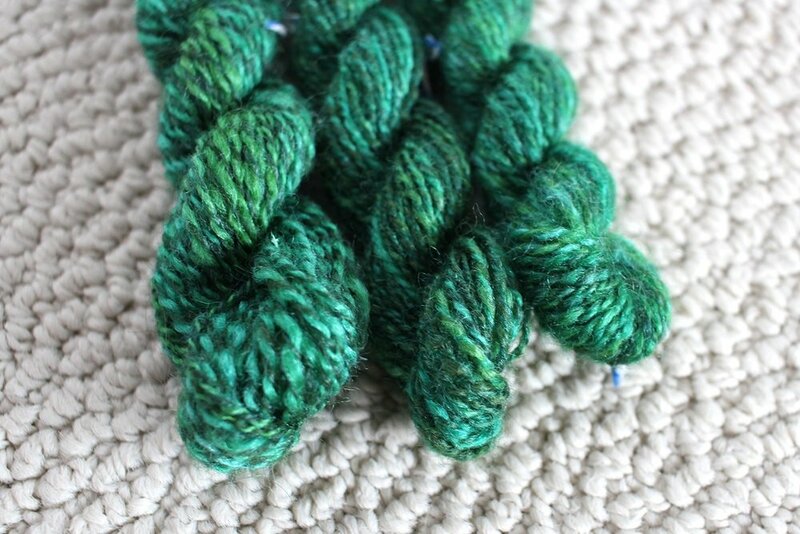 Then I treated this first skein as a sample to figure out how I wanted to spin the 7 other bigger skeins. You can read more about that process here. Once I figured out which drafting method worked for the fiber and the finished yarn, the only thing left to do was to get spinning. This fortunately coincided with the start of #the100DayProject where I dedicated myself to making yarn everyday for 100 days. That little bit of daily spinning, even if it was only 10 minutes, really added up. And the 100 Day Project kept me spinning even on busy days when I would have skipped it otherwise. Almost 2 months later, I’ve got about 560 yards of sport weight yarn. I’m sure that number shrunk when I set the twist, but there’s still plenty of yardage to make a cosy shawl. I have an idea in my head for what that will look shawl will like, and I’m almost ready to get that down on paper. I think it’s time to get swatching. I’m happy to say that the #100handspunday project is still a daily thing. Aside from 1 day during the first week, I haven’t pushed a day off to do on the next. It’s hard for me to get going again once that little chain of “x’s” breaks for any reason. So I don’t stop, even on the long days. That’swhen I get handspun off the bobbins and measure yardage. Then there are the days when I can spin for an hour and go back for more after stretching my wrists. A little bit of flexibility has been key for me keeping this project going. The second part of Maggie Casey’s You Can’t Tell A Braid By It’s Color has also helped me spin every day. First, it’s a spinning class and you actually have to spin yarn. That took care of 2 days right there. Second, I had to spin samples for homework which took up a good chunk of last week. Third, the class pushed me right out my usual spinning comfort zone. We worked with several colors and fiber that I liked and wanted to try, such as the blue silk/wool single, but also colors that wouldn’t be my first choice. The rainbow single is a mix of bright saturatedcolors that I drafted together with more muted tones. I didn’t expect to like the combo (wish I’d taken a before photo of the fiber) and was pleasantly surprised at how the colors melded. 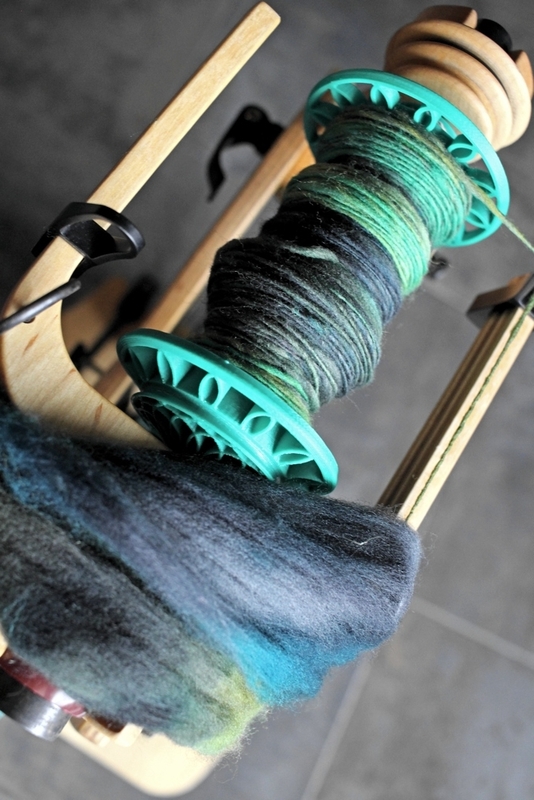 When I was spinning samples for plying, I paired like colors together. There was a semi-solid dark blue paired with bright blue and purple. Another pair was a solid red single and a striped blue and red single. The blues turned into the really interesting 2-ply on the left. 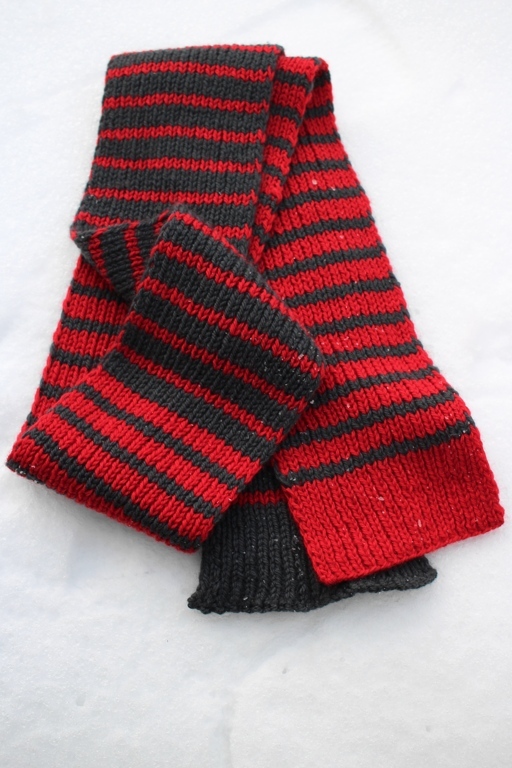 The red pair turned into first attempts at different yarn constructions. There was a 4-ply cable, which I’ve only got a yard of, and the chain-ply, above right, spun with 2 plies instead of 1. I could have used an extra hand or two because you’re only looping 1 ply at a time and bringing the other along for the ride. Getting the tension right is trying. The skein in the middle is a bright red and purple fractal yarn. I’ve spun plenty of fractal yarns, but chugged along on this one because the colors aren’t my usual pick. Curious to see how it knits up. I had a few samples leftover so I spent yesterday plying them in different ways. Now I need to get them off the bobbins and set the twist. Also plied a few other leftovers that had been hanging around. Looking forward to all the mini-skeins that will come out of this. The class got me thinking about color and spinning in a new way. My previous modus operandi would be to to spin yarns to preserve the color with clear distinct stripes, chain-plying, or singles. If I was feeling more adventurous (and the dye pattern of the fiber was clear), I’d aim for a fractal. Or I wouldn’t bother at all and just spin a 2-ply or 3-ply. I’m sure I’ll still do all of those things, but now I’ll sample to see how colors will blend and heather in the drafting. I’ll try to figure out how to pair wildly different colors and braids together to create a specific effect. I’ll give more consideration to how construction and yarn weight affect color. I’m also going to sample more and do it for fun. I really liked those bite-sized chunks of spinning because of how wild the results might be. It’s also given me an appreciation dyed with bright saturated colors because I know they can be tamed and changed. If you get the chance and you want to explore spinning color, You Can’t Tell A Braid By It’s Color is a class worth taking. You can read my thoughts about the first part of the class here. 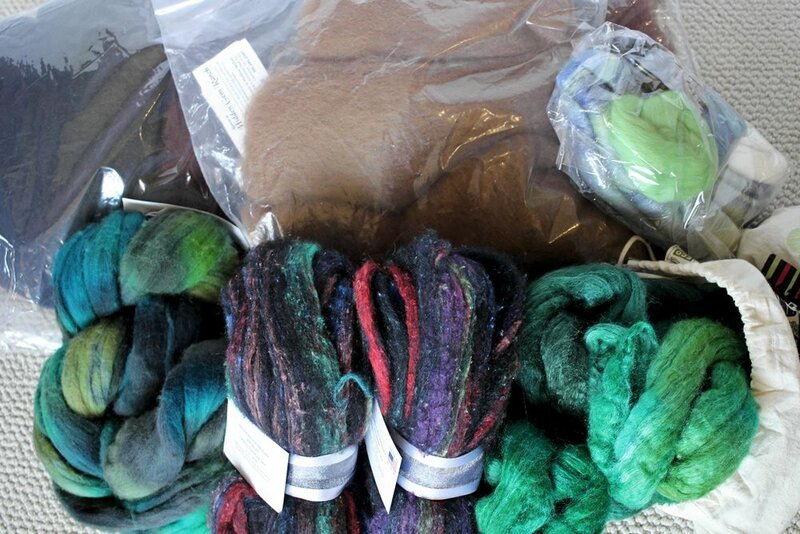 It’s changed my outlook on dyed fiber and gave me the tools to manipulate color through every step of spinning. Plus, it’s given me plenty of ideas for what to spin for the rest of my #100HandspunDays. One of goals for 2017 is to get back to my wheel and spin more yarn. Writing it down is one thing, actually doing it is another. So to keep myself accountable and accomplish this goal, I’m joining #the100DayProject. Simply put, the 100 Day project is a world wide art project where you do one small thing for 100 days. This cute video explains it well. I’m going to keep my rules simple and convenient so I can keep the project going for the long haul. Plus, I want to improve my improve my spinning skills and knowledge. Sit down at the wheel and spin! Fiber prep counts. So taking a few days (or weeks) to learn how to make batts or practice hand carding is encouraged. 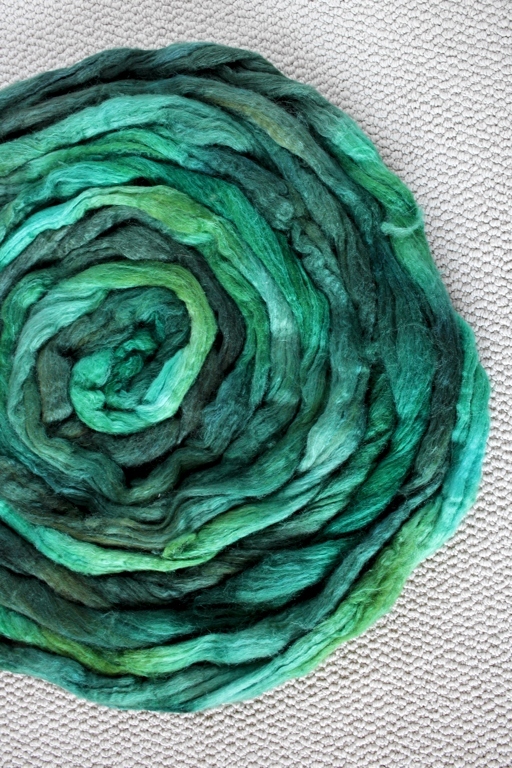 Work out of the fiber stash and see just how far it’ll go. On busy draining days, reading about fiber, breed characteristics, and yarn construction is a-ok. What good is having a spinning reference shelf if I never use it? Share the day’s spinning on Instagram and in blog posts. I’m using #100HandspunDays to keep things organized. Today, April 4th, is Day 1 and first bit of handspun is on the bobbin. I’m continuing with the purple gradient - nothing said I had to start a brand new project after all. I’m on the 3rd of 8 nests and curious to see it all spun up. Are you doing #the100DayProject? What’s your one small thing?